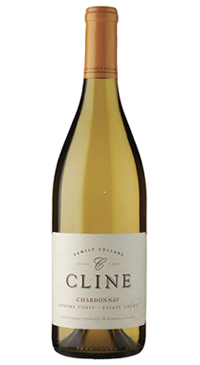 Cline Cellars has been sustainably farmed and family owned since 1982. Fred Cline learned a lot about farming from his Italian grandfather, then subsequently at UC Davis where he met his wife, Nancy Bunting, who also has farming in her roots. Fred and Nancy chose to restore acres of 100-year-old vines. In 1993, Fred and Nancy moved the winery to a 350-acre ranch in the famed Carneros Valley in Sonoma County. There the Clines planted Merlot, Chardonnay, Pinot Noir, and Syrah. Orange blossom, citrus, and pineapple aromas and flavours. The palate is lush with a creamy texture and integrated oak and vanilla on the finish.